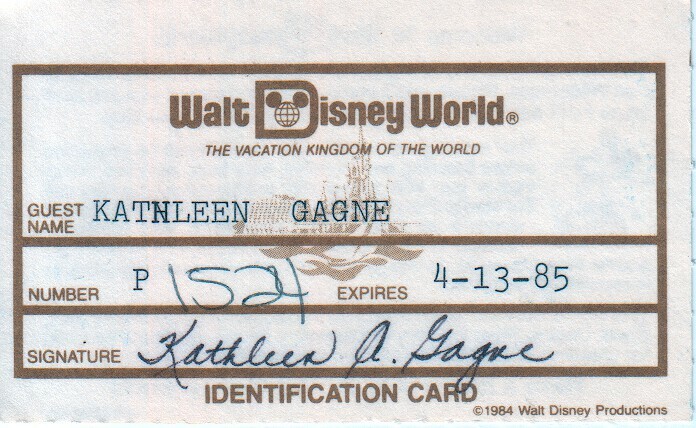 Mom and Jenny and I went to Walt Disney World on April 13, 1985. I’m pretty sure, but not certain, that Nana 1 came with us and that was the trip we got a surprise overnight stay at the Polynesian Resort. 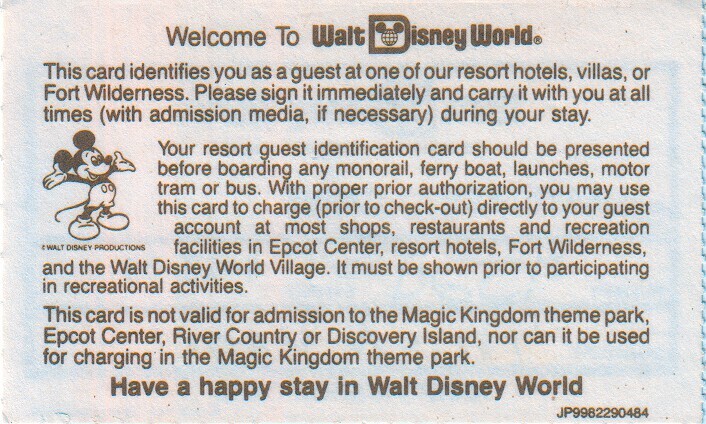 I distinctly remember eating the buffet dinner at the Polynesian with Nana, and my sister and I running back and forth to the buffet for more ice cream, and Nana being concerned that mom was too tired to drive home. Although that could have all been a ruse and their plan was to stay overnight all along. 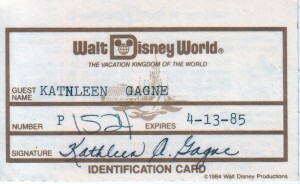 I love seeing mom’s signature. She really had the most beautiful penmanship, and I have tried my whole life to emulate her script. 1 “Nana” — Anna S. Albanese — refers to our maternal grandmother. “Nana Rainy” — Lorraine Gagne — refers to our paternal grandmother. The only time we called my maternal grandmother anything other than simply “Nana” was when we were in New England visiting dad, in which case we would refer to Nana as “Nana-from-Florida” or “Nana Anna”. We always use “Nana Rainy” to refer to our paternal grandmother.